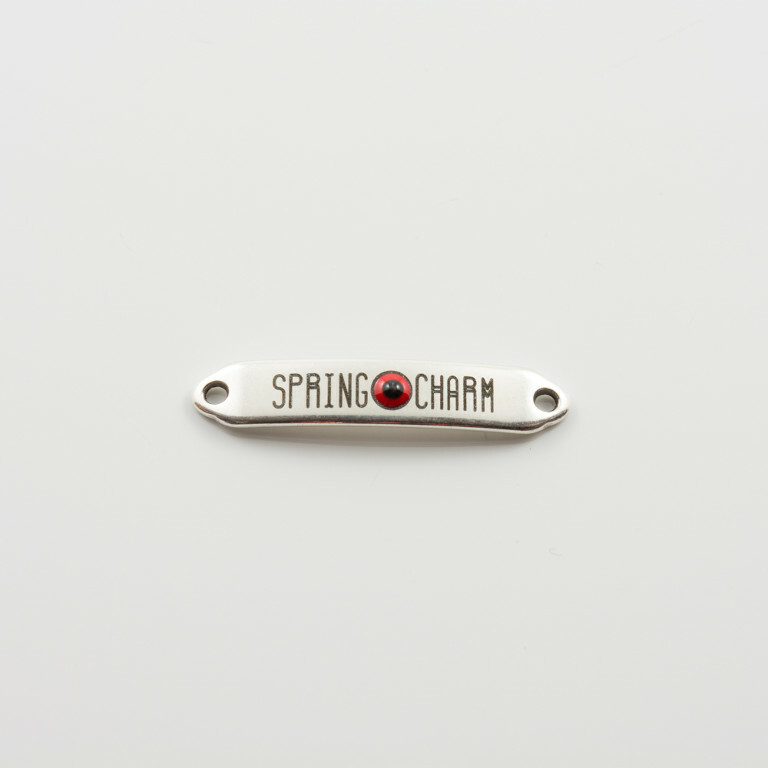 Metallic plate "SPRING CHARM" in silver colour with a red eye and two connectors. Ideal for bracelet decoration. Dimensions 0.7x3.5cm.